People looking for a top online casino that accepts US players could read this review of the Grand Parker Casino and discover a true gem that dreams are made of! PLEASE NOTE: GRAND PARKER CASINO IS NO LONGER ACTIVE. ITS OWNERS ARE GONE. DO NOT SIGN UP OR PLAY THERE! We all know that gambling in online casinos for US players continues like never before despite what the Federal Government tries to tell you what you can or cannot do. The problem here is not even for the players, because it is not and never has been illegal to gamble online. The problem is finding a reputable Internet casino that will allow you to play! Well you've certainly found one in the Grand Parker Casino. On top of these already hard to beat benefits comes the peace of mind in knowing that you're getting a premium service from an established brand in the industry. Is Grand Parker a Good Choice of Casino? You may still be a little skeptical as to the credentials of this Internet gaming establishment and wonder if it's a good choice for you to make. To put your mind at rest, you should know that this is a verifiable casino that is owned and operated by Milore Limited and licensed in Curacao. The site is audited and certified by the industry standard Technical Systems Testing (TST) which provides guarantees of fair gaming and honesty. It provides full transparency about its fair and responsible gaming policies and its security measures to protect your valuable personal data and financial transactions. These days, all Internet casinos offer new customers a sign up bonus of varying amounts depending on how much they choose to deposit. Grand Parker offers one of the industry's highest deposit match bonuses of up to $8,000 added to your account free for you to spend on slots games! Or you can opt for the table games bonus of up to $5,000 which you can get on your first two deposits. Some limitations apply to either bonus and you should read the terms and conditions published on the grandparker.com website. You are certainly in for a big treat when you choose to play at the Grand Parker. The incredible graphics produced by the RTG software that drives this casino are something to be seen and experienced first hand to be believed. The games are of the highest quality while providing you with all the favorites that you'd come to expect to find in an Internet casino along with several variations of those much loved standards to keep things interesting and exciting. So what do we have here? If slots are your thing, you're going to like this place. There are around 60 different games to choose from including some you will already know and plenty more that you will be keen to get to know. There are plenty of big five reel games amongst the collection to keep everyone happy, with great titles like Aztec's Treasure, Aztec's Millions, Mister Money, The Three Stooges and Funky Monkey and many more. 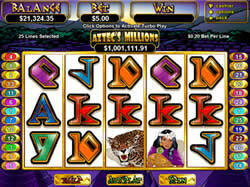 With some of the best odds around in online casinos, video poker games are hugely popular with players at all levels. Anyone with experience playing poker in real life (or online for that matter) will be familiar with the way these games work. At Grand Parker you'll find plenty of amazing games to get your teeth into that you can learn fast and enjoy for as long as you like. With 19 titles currently available from basic 7 stud and bonus poker machines to Deuces Wild, Loose Deuces, Jacks or Better and Double-Double Jackpot Poker there is guaranteed to be something that will catch your eye that you can't wait to play! If you prefer pitting your wits against the cards, then the table games on offer will be sure to get your attention. 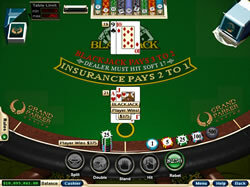 Blackjack lovers are catered for with the standard game in addition to some cool variants such as Super 21, Face Up 21, Pontoon and European Blackjack. There are two versions of Vegas 3 Card Rummy, Baccarat and several table poker choices such as Pai Gow, Red Dog and Tri Card. For roulette players, there are both major versions of the game: European (single "0") and American (double "00") to choose from. Our tip is to go for the European game as it offers a slightly lower house edge meaning better chances of winning. 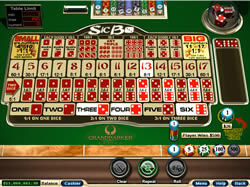 Craps players are treated to en exciting and realistic game that is fast paced and authentic to the land based casino favorite. For those players who like to get off the beaten track and go for something a little different, there are several specialty games to get to grips with. If you like pure chance games that are simple to set and play, then you will love playing games like Keno, Sic Bo and Bingo. There are also scratch card games Lucky Eights and Magic Sevens for those that like the feel of scratching off hidden numbers to reveal the potentially big wins these games are capable of offering! The latest software upgrade to the casino for 2014 has seen a complete redevelopment using Topgame Technology Dynamics as software provider in place of RTG. Topgame is a relative newcomer to the field of casino gaming software, although once you see for yourself what it is capable of, you may find it difficult to go back. There are several reasons for the move, with the most important one being the provision of live dealer games that this company has developed to an unprecedented standard of excellence. As more and more players are getting into playing live dealer games, the move in this direction is a must for any serious online casino. But gaming is not necessarily all about live dealer games. There is a large suite of really quite amazing games that this sompany has developed for the industry and when you play at the new look Grand Parker Casino powered by Topgame software, you are going to be very pleasantly surprised at what you will find there. All your favourite games are there with a few more you will not have played before and won't find anywhere else. There is a massive collection of slots titles that will knock you out but that's not all. Mobile players will be very pleased to hear that the software is also preparing for an April launch of the casino on the mobile platform so you can enjoy Grand Parker on your phone or tablet from wherever you are. 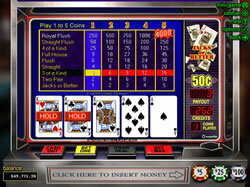 Following the previous paragraphs, the software that powers the old version of the casino is produced by industry leader Real Time Gaming (RTG). Note: You can still play the RTG version of Grand Parker if you have grown accustomed to their games and like to stick with what you know, but I would recommend you take a look at the new Topgame version too and see if you like it. RTG is a company at the forefront of the iGaming product base. This is a company that has been around for over a decade providing cutting edge software games with stunningly lifelike graphics and realistic audio. 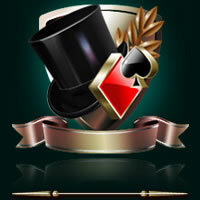 Online casinos running under the RTG flag are among the most popular and most favored by serious players. Newcomers to iGaming are often stunned by the amazing realism created by their games. If you haven't already, the first time you visit an RTG powered casino, you will be left in awe at the truly incredible experience. While amazing games and an incredible user experience are hugely important factors in determining your choice of casino to sign up with, the other side of the coin, while not so glamorous is of equal importance. That side just happens to be the security aspect of the site you intend to spend your time and money playing at. You should know that Grand Parker uses top level security measures to ensure your personal data including all your financial transactions are kept completely safe. By using the industry's most powerful 128-bit SSL encryption software, your money and your data are as secure as you'll find in the best online banking and financial institutions. It's good to know that the things you need to be kept secure are kept secure! Another aspect to the overall satisfaction of playing a superior casino online is the choice of financial interaction with the site. There's no getting away from the fact that in order to place real money bets and withdraw real money winnings, you need a vehicle to transfer the funds to and from the casino. For US players, the choices are more limited because of laws governing financial transactions to and from Internet gambling sites. But limited doesn't necessarily mean prevented! While credit and debit cards come with a risk of payments being rejected by US banks, they are still accepted by Grand Parker as an easy and fast way to deposit cash into your account. However, there are several other options that are worth considering. There are several online payment processors that most players prefer, such as Moneybookers (Skrill), Neteller and Click2Pay that act as online go-betweens from your credit/debit card to your member account. These ensure swift deposits and withdrawals with no risk of rejection. Other options are available, please see the website's "banking" page for more details. Lastly, no Internet business worth its salt would leave you without a way to get help whenever you need it. Grand Parker holds its customers in high regard and to that end provides some of the best 24/7 customer support in the industry. If you need to contact a support person for whatever reason, you can do so via toll free phone, online chat or email any time of the day, any day of the week, any week of the year! How Do I Become a Member of Grand Parker? Becoming a member is very easy. It's simply a case of visiting the official website and choosing whether you wish to download the software onto your computer or play the flash version online. The best option is to download the software because it means you can play the full suite of games and have access to all the promotions and offers, with faster game speeds and an overall better experience. The program itself is small and does not take up much space or resources on your computer. If you prefer not to download, you can still sign up and play via the website with the flash based, "Instant Play" version. You can get access to some really stunning bonus offers when you click through to the site via the promotional image below. So grab your bonus on the way through and click your mouse on the image below and prepare to be amazed!